Are you having difficulty managing your anger? Are you prone to outbursts of shouting or aggressive behaviour? Is this impacting on your loved ones at home or your work colleagues, staff or clients at work? Is your relationship or career at risk? Anger Management London offers a confidential one to one service to help you manage your anger and get back in control of your life. 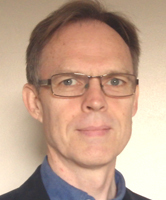 Daren De Witt has more than 15 years experience of working with anger. He specialises in two areas: marriage/relationship anger and workplace anger, though he can help you whatever your anger management issues are. Contact Daren to discuss your situation and the support you need. Anger Management London – How Long is the Course? Courses at Anger Management London are one to one and therefore can be tailored to your needs. On average people attend for between 4 to 10 sessions. During your first session of anger management you can discuss your situation with Daren and he will give you an estimate of how many sessions you might need. You are in control of your attendance and can stop at any point, without any financial consequences, as you pay for sessions one at a time. It is usually best to attend anger management sessions weekly to begin with. After a few weeks you can reduce the frequency. Each session lasts for fifty minutes. Anger Management London – What will We Do During Anger Management Sessions? To begin with Daren will want you to explain what has happening for you and the typical patterns of your anger, to give him an understanding of your situation. Daren will share his perspective at Anger Management London with you and give you some initial guidelines to help you manage your anger. If you feel that the session has been useful for you, then you are welcome to book further sessions. 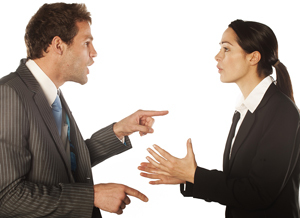 – Discuss anger incidents that have happened since your last session. With Daren’s support you will examine your experience as your anger built and the sensations in your body. We will look for the points at which you had options to do something different and what the best choices would be in those moments. – Look at how you were thinking as your anger built, how that influenced the outcome, and how you can change your thinking. – Be helped to find other ways to express yourself other than through outbursts of anger. – Investigate the relationship you have with people with whom you most often experience anger. You will understand what is going on for you in relation to those people and how you might relate to them in a way that reduces your anger. Anger Management London – What are the Session Lengths and Times? Each session at Anger Management London is 50 minutes in length. At present Anger Management sessions are available from 9am to 9pm on Wednesdays and Thursdays and from 11am to 3pm on Fridays. Anger Management London – What are the Session Costs? NB You are welcome to bring your partner along to the first session, if they want to explain how your anger is impacting on them, and get some reassurance that this will be addressed. There is no extra cost for this. However, if you want to attend a full course in anger management together as a couple, the cost will be based on the higher income of the two of you. There will also be an additional cost of £10 added to the prices above, ie the cost will be either £65, £75 or £85 per session. Anger Management London – How do You Pay for Sessions? Please bring cash or a cheque to sessions. Payment by bank transfer can also be arranged. After you have arranged your first appointment with Daren, to confirm your booking you will need to pay a deposit of £30. You can do this by clicking on the Make Payment button below. You can pay with Paypal if you have a Paypal account. If you don’t have a Paypal account, you can pay with a debit or credit card. To do this, after you have clicked ‘Make Payment’ follow the instructions that say either ‘PayPal Guest Checkout’ or ‘Pay with a debit or credit card’. This deposit is non-refundable if you cancel less than 48 hours before your appointment, or if you do not turn up for the session. Anger Management London – What is the basis of Daren’s approach? Daren is a certified trainer in Nonviolent Communication (NVC) and this is the main tool that he will use with you, to help you reframe your anger and find safer ways to express yourself. Daren is also trained in Voice Dialogue facilitation to help you understand yourself better, Relationship Counselling to support you with relationship anger, TRE (Tension and Trauma Release Exercises) to help you release excess stress that is triggering your anger, and Identity-Oriented Psychotrauma Therapy to help you if there are deep underlying patterns from your early life that you need to explore. Daren is also trained in Hypnosis, NLP, mediation and stress management. Daren brings all these different modalities to his sessions of anger management counselling with you. Read more about Daren’s training background on the About Anger Management page. Anger Management London – How Do You Book a First Session with Daren? If you would like to book a session of anger management counselling you are welcome to phone Daren – 07968034828. You can also message Daren or fill in the contact form on the contact page. Let Daren know 2 or 3 dates and times that would suit you to attend, and he will see if he can match one of them. Daren is usually able to see clients within 7 days of the initial enquiry. Anger Management London – Where are sessions held? Anger Management Counselling Sessions take place at a venue that is one minutes walk from Liverpool St station, London EC2. Daren also offer a bespoke Anger Management service, visiting you at your home or place or work, though this costs more as Daren has to factor in his travelling time and costs. Contact Daren to discuss this option. See the Location page for a map of the venue location. From Aldgate station simply walk along St Boltoph’s St and up Middlesex St until you reach Bishopsgate. Turn left and walk 15 metres to Victoria Ave. Walk down Victoria Ave 20 metres till you reach the anger management counselling venue at Longcroft House. Journey time walking = 8 mins. From Bank station walk up Threadneedle St. Turn left along Bishopsgate. Cross the road at Liverpool St station. Daren’s anger management counselling venue is at Longcroft House, which is located at the end of Victoria Ave, a narrow alleyway alongside the police station. Total journey time = 12 minutes walking. From Barbican station, walk along Beech St, leading into Chiswell St. Turn right off Chiswell St onto Moor Lane. Take the first left off Moor Lane onto Ropemaker St. Walk along Ropemaker St, leading into South Place then Eldon St. From Eldon St walk through Liverpool St station, coming out at Bishopsgate. Cross the road at the pedestrain crossing and walk to the left 10 metres. Alongside the police station is a narrow alleyway, Victoria Ave. Walk 20 metres to the end of Victoria Ave, where you will find Daren’s anger management counselling venue at Longcroft House. Total journey time = 20 minutes walking. From Blackfriars take the circle line to Liverpool St station. Take the exit from Liverpool St station that leads onto Bishopsgate. Coming out at Bishopsgate, cross the road at the pedestrain crossing and walk to the left 10 metres. Alongside the police station is a narrow alleyway, Victoria Ave. Walk 20 metres to the end of Victoria Ave, where you will find Daren’s anger management counselling venue at Longcroft House. Total journey time = 20 minutes. Take the central line to Liverpool St station. Exit Liverpool St station onto Bishopsgate. Coming out at Bishopsgate, cross the road at the pedestrain crossing and walk to the left 10 metres. Alongside the police station is a narrow alleyway, Victoria Ave. Walk 20 metres to the end of Victoria Ave, where you will find Daren’s anger management counselling venue at Longcroft House. Total journey time = 20 minutes. Walk along Cannon St to Monument station. Turn along Gracechurch St, leading into Bishopsgate. Walk along Bishopsgate till you get to Liverpool St station. Cross the road at the pedestrain crossing and walk to the left 10 metres. Alongside the police station is a narrow alleyway, Victoria Ave. Walk 20 metres to the end of Victoria Ave, where you will find Daren’s anger management counselling venue at Longcroft House. Total journey time = 17 minutes walking. From Farringdon station take the Circle or Metropolitan line to Liverpool St station. Exit Liverpool St station onto Bishopsgate. Coming out at Bishopsgate, cross the road at the pedestrain crossing and walk to the left 10 metres. Alongside the police station is a narrow alleyway, Victoria Ave. Walk 20 metres to the end of Victoria Ave, where you will find Daren’s anger management counselling venue at Longcroft House. Total journey time = 20 minutes. From Moorgate station, walk left along Moorgate and take the first right done South Place. At the end of South Place, walk through Liverpool St station onto Bishopsgate. Cross the road at the pedestrain crossing and walk to the left 10 metres. Alongside the police station is a narrow alleyway, Victoria Ave. Walk 20 metres to the end of Victoria Ave, where you will find Daren’s anger management counselling venue at Longcroft House. Total journey time = 10 minutes walking. From Monument station, walk up Gracechurch St then along Bishopsgate until you get to Liverpool St station. Opposite Liverpool St station entrance and a little to the left is a police station. Alongside the police station is a narrow alleyway, Victoria Ave. Walk 20 metres to the end of Victoria Ave, where you will find Daren’s anger management counselling venue at Longcroft House. Total journey time = 12 minutes walking. Coming out of Liverpool St station onto Bishopsgate, cross the road at the pedestrain crossing and walk to the left 10 metres. Alongside the police station is a narrow alleyway, Victoria Ave. Walk 20 metres to the end of Victoria Ave, where you will find Daren’s anger management counselling venue at Longcroft House. Total journey time = 1 minutes. From St Pauls, take the central line to Liverpool St. Or walk along Cheapside to Bank. From Bank station walk up Threadneedle St. Turn left along Bishopsgate. Cross the road at Liverpool St station. Daren’s anger management counselling venue is at Longcroft House, which is located at the end of Victoria Ave, a narrow alleyway alongside the police station. Total journey time = 20 minutes walking. 16 Ainsworth Rd, London E9 7LP, UK. NB. This is a postal address only. Sessions are held in central London near Liverpool St station, or at your home or organisation if you are using my bespoke service. I just wanted to say thanks for all your help in my recent sessions with you dealing with my anger issues. I found the sessions to be very useful in enabling me to deal with deep felt feelings that I had failed to recognize as triggers to my anger towards my partner. This had also denied me access to my nine year old son.